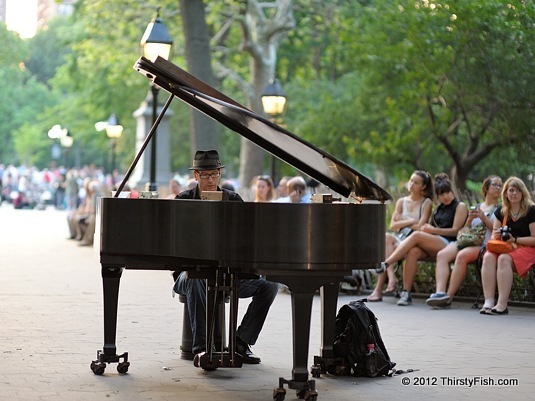 Classical Music at Washington Square Park? 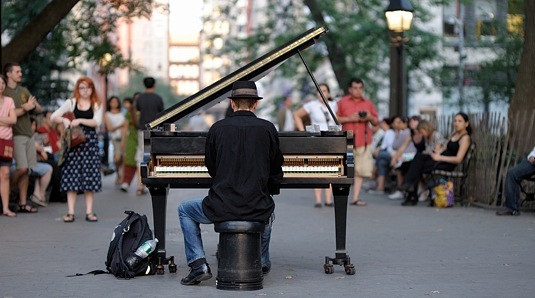 "The Crazy Piano Guy", Colin Huggins, rolls in his baby grand piano to Washington Square Park on most weekends and performs classical music pieces for park-goers. If you are in NYC and want to see him, you can check his schedule on his facebook page. Scroll below for a video of his performance.